Poppies are nice to look at, but the plants have chemical properties that can be lethal. Opioids are processed from them, and some are for good purposes. Unfortunately, the opium poppies in Afghanistan are mainly used for heroin. Follow the money: people who foolishly use heroin are ultimately funding the sidewinders of Islamic terrorism! With any drug trafficking comes violence and criminal activity. What's a poor Afghani farmer to do who wants to put food on the table? Personally, I'd find something else to do that doesn't involve the deaths of many people. 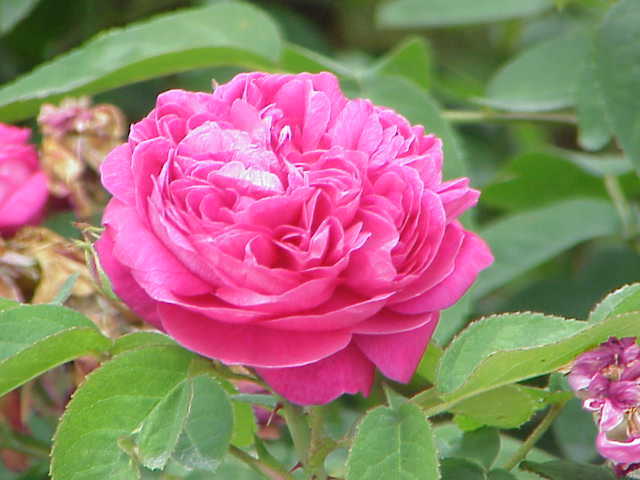 Enter the Damask rose. It is native to Afghanistan, appeals to the eye and nose, is more profitable than poppies, a renewable resource, is a source of employment, and more. God has given us all sorts of things for us to use. We can use them through biomimetics, or use them directly — if we know how. Our creator gave us minds and expects us to use them. Part of this is done through finding ways to observe, use, or develop applications from or inspired by what he has given us. Need some good news for a change? Some Afghan farmers are finding better profits growing roses than growing opium poppies. Sales of opium poppies create many well-known evil effects downstream. Drug trafficking, though illegal in the country, engenders gang violence and international conflicts, and fuels much of the economic ties of violent countries to other violent countries. . . But what if the poor farmers could be convinced to grow something good instead? Something beautiful, useful, and in high demand? What if they could make a better living growing roses? You can read the rest by clicking on "Will Everything Come Up Roses in War-torn Afghanistan?"